As you may know, I overwinter many plants indoors, always looking for ways to minimize the effort and care they require. Unfortunately, I sometimes push these limits too far, and low-care crosses the line to neglect, and a plant pays the price. 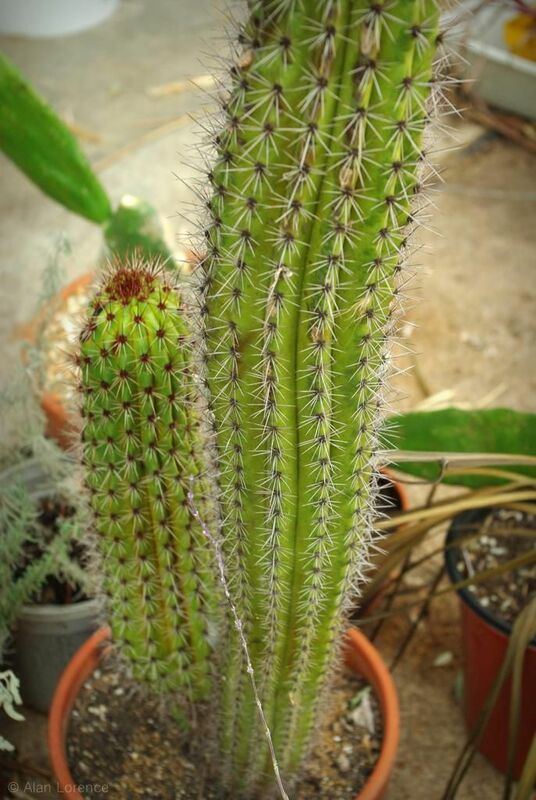 Take for instance my organ-pipe cactus. I've been growing this plant for at least 15 years, its little 2" height eventually getting to 3' or so. It's always spent the winter in the warm parts of the house, usually close to my growing table so it could get a fair amount of light. Last year it was too big for this, so I kept it on a table in the garage where it still got fluorescent light, but stayed cooler. If you remember, it developed some rot, but it survived that. This year though I kept it on the floor of the garage, where it was probably colder and a bit darker. I'm pretty sure this guy is a goner. Although I'm saddened that my care resulted in its demise, I'm also a bit relieved as now I won't need to worry about overwintering this increasingly large, heavy, prickly beast. Interestingly, my neighbor gave me a packet of organ pipe cactus seeds last summer. Time to start again? This was not the winter to try was it? I just wonder if all is not lost. Cactus really want to live and I have cut several of mine back down to the ground. I had one that was hollow with rot on the inside and I cleaned it out, dried it and repotted it. Low and behold it lives and is making babies galore. 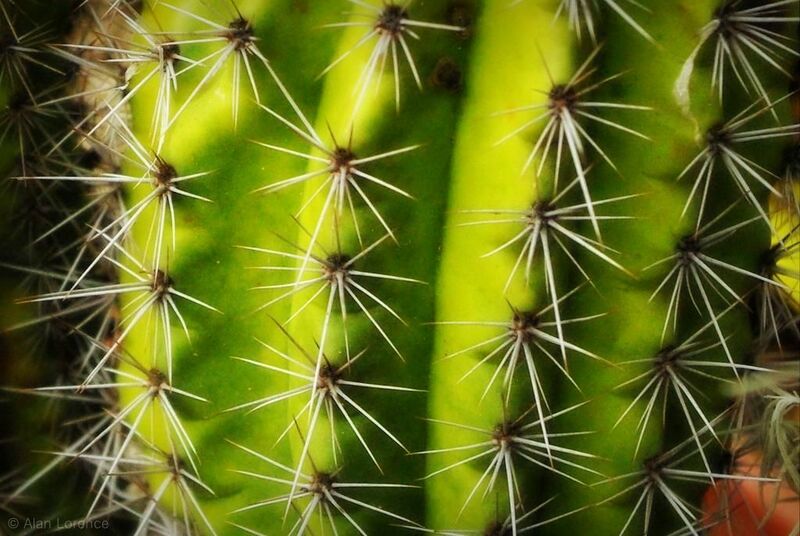 I need to read your post again on cactus seeds because I have some from one that flowered last year. They are drying on the kitchen counter. Again, yes. 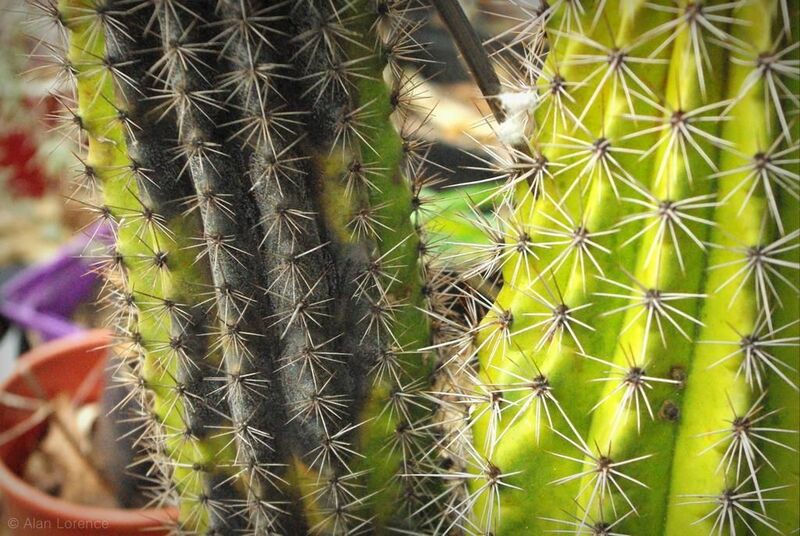 Cactus never grow boring. The more the better. Good luck with the seeds. 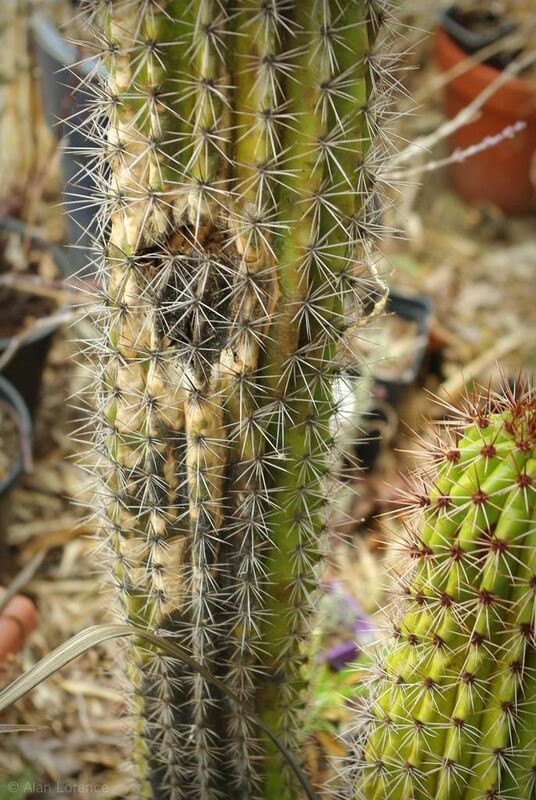 Is this one of the types of cactus you can cut the top off and get to root? I think you could cut the top off and try to root it. 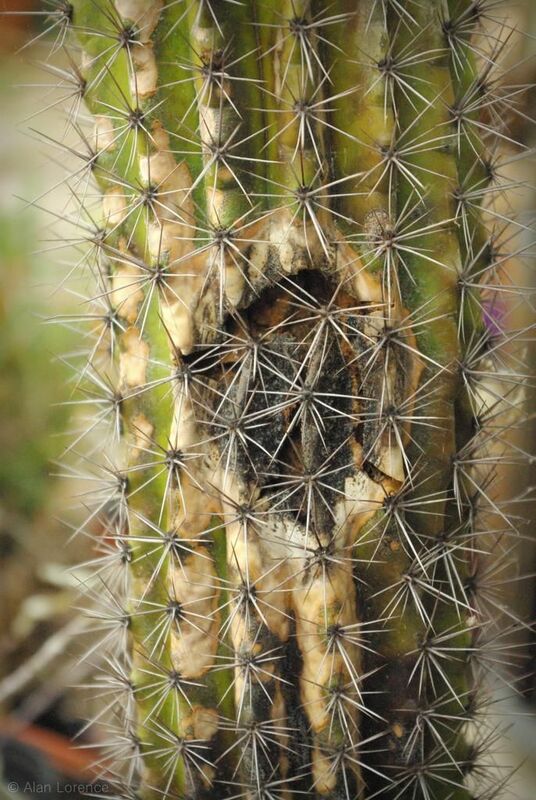 As Rock Rose said, cactus want to live!!! I'm afraid that it works even worse now than it did when I took the photos. I'll see if there's anything that looks salvageable though. Thanks for the advice!